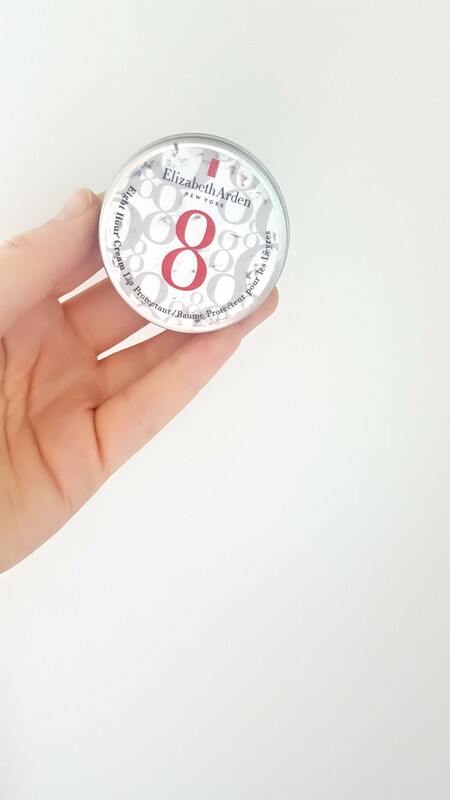 Elizabeth Arden 8hr Cream – Lip Protect: I got this in the airport (as you do) recently as a very ‘it was on the paying counter’ purchase. But I am so glad I did. I have noticed that working in an air conditioned office really does a number on my lips and this stuff has been a moisturising lifesaver. Bonus, its smells and tastes like grapefruit. 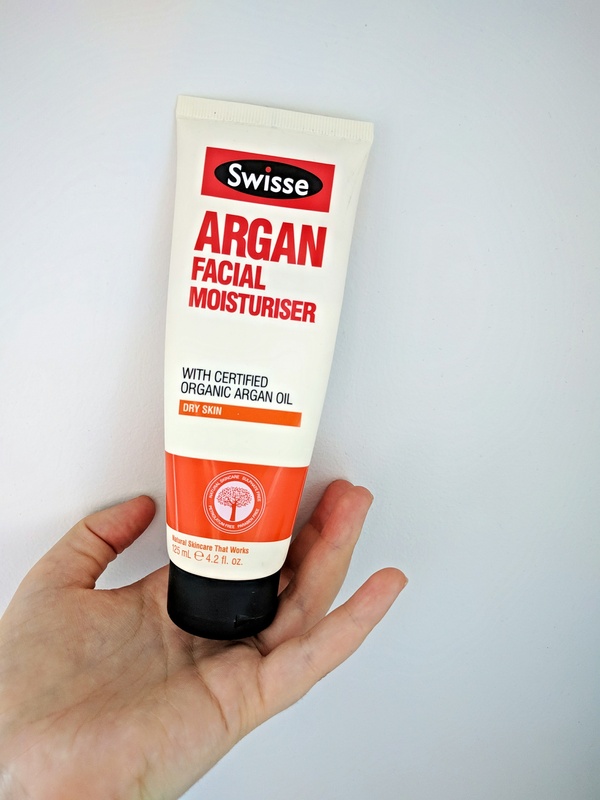 Swisse Argan Oil Moisturiser – I got this moisturiser mainly because I wanted a change. Plus, winter dried out my skin worse than ever. Lets just say. Best choice ever. I will not be saving this only for winter as it is now my all year round moisturiser! It just leaves my skin feeling so soft, even when ive been wearing makeup all day. During Spring & Summer I don’t think ill be wearing this during the day as it would be too heavy, but as a night time moisturiser, its a dream. 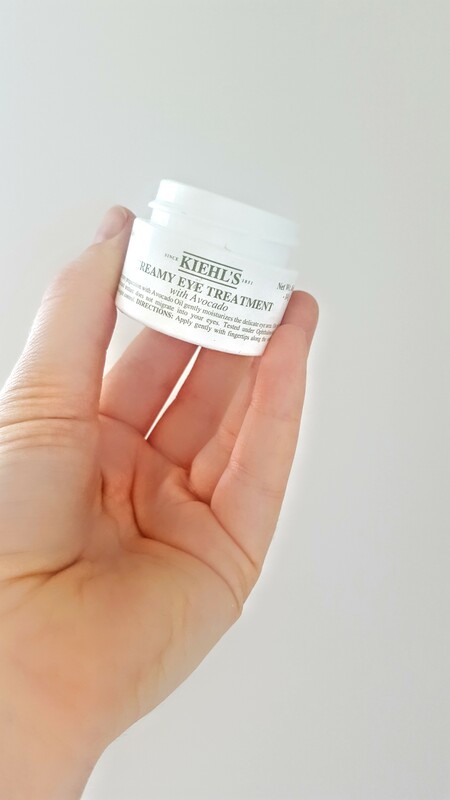 Kiehls Creamy Eye Treatment with Avocado – I recently turned 25 and as such. The eye cream has come out. Not yet the wrinkle cream but knowing my genes, should probably get on to that too. Fine lines are the worst and whether they are only in my imagination or not, I shall begin to treat/ prevent them. This cream goes on great under makeup and is super hydrating. It can take a few mins to soak in but its def worth the wait. I do sometimes use this under my makeup too which works fine! La Bang Body Hair Oil – Now, I know, I gave in to the hype. Its the one all of the Australian Youtubers and Instagramers are talking about and guess what. They are right. Its not a con. I am not being paid to say this! I generally leave this in all day if I can (If I am bumming around the house and not seeing actual people) and wash it out before bed. i have found since using this that I have less split ends and my hair does take longer to feel dry and frizzy. Which for me, is a revelation. Tea Tree oil Shampoo – For me this is a more natural alternative to my medicated shampoo. Now, it doesn’t work the same but it does keep me tied over for that little bit longer than if I weren’t to use it at all which is good. Because it is tea tree based it is also antibacterial and I find it takes my hair longer to become oily. Garnier Leave in Oil – As someone who has the driest of dry hair and is living with a constant frizzy nightmare. I need a hair oil that will be softening without weighing it down. This tends to do this. But only if I use it on first day hair. I am thinking about trying out a leave in conditioner. Let me know if you have any recommendations. Collection Mascara – I am a sucker for collection makeup and as they do not sell it in Australia, I try and top up on my favs while im in NZ. However, I thought while I was at the counter that I would try something new. This is where I discovered my new fav mascara! Its lengthening, separating and quite dry formula so basically everything I love. Topshop Lip Liner (in Ceramic) & Lipstick (in Naturist) Combo – I never thought I would rate TopShop makeup highly. When I saw the collection I wasn’t too wowed, but at the time it was all on special, so why not. This happened to be a great idea because the Lip Liner and Lipstick i got are fantastic. The colour is my perfect everyday colour. My only con is that it doesn’t last THAT long. A few coffees in and you have to reapply. But it reapplies fine so for me, no issue! E.L.F. Cosmetics, Blush, Candid Coral – This particular purchase seemed to slip into my overloaded Iherb (discount code: RAC8923) order last minute and when it arrived, I was quite disappointed. I saw the colour and thought straight away. NOPE. However, I tried it and was quite impressed! It is definitely quite subtle, but it is buildable which is the main reason I enjoy it. Its almost impossible to overdo it. Its a peachy pink colour and has a slight shimmer. Perf for Spring! Nars Laguna – I remember when I first bought this bronzer, it was all because of the hype. I got it… and never touched it. I was too scared! I wasn’t confident doing my makeup and couldnt believe I had bought this product I couldnt use as it was really pricey! However, I used it as a way to make myself learn. I wanted to be able to use it to its full potential. Voila! I have. Its now my fav bronser by far and works really well as a contour shade on my skintone. Unfortunately, I have hit pan, so will be looking for alternatives so that I dont run out! NYX Micro Brow eyebrow pencil – When I was in Spain, I discovered that NYX and Kiko, Have their own stores!! The most I had ever seen was a ratehr big counter in Priceline, I was blown away and decided I HAD to buy something. Fortunately, I had infact forgotten to pack my beloved Benefit Eyebrow Pencil so was in a position to justify a new one and I am SO glad I did because its now my new fav. Not only is the tip really small and easy to use, its less than half the price of the benefit one!! Although I have never tried the ABH one, I feel as though this would be a good dupe too. Seriously, try it. What have your favourite products been recently? That NYX pencil has been on my Ulta wishlist forever, but I always forget to add it to my cart, so I’ve never got to try it! Glad the pencil comes out thin, because that’s my jam!